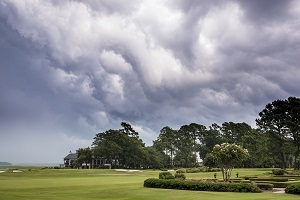 Getting Full Coverage for Tornado Damage to a Golf Course | The Voss Law Firm, P.C. A tornado touchdown can be a terrifying prospect, with 100 mph winds causing devastating damage in a matter of minutes. Even if everyone on your golf course is able to seek shelter and no one is harmed, a storm lasting less than an hour can cause hundreds of thousands of dollars in damage to your club. Attorney Bill Voss explains why tornado claims pose special challenges for Texas golf course owners and what you can do to get proper payment for these losses. Property damage. A golf course may span for hundreds of acres, greatly increasing the potential for damage claims. Not only should all greens and tees be covered, but also the clubhouse, structures, vehicles, golf carts, water features, and landscaping on the property. It is also a good idea to purchase flood insurance for your golf course, since tornadoes are often accompanied by heavy rain. Tree and branch removal. Your policy may pay to pick up and clear away downed branches, but what about trees that haven’t fallen but still pose a danger to your business and guests? Half-uprooted trees, branches that are hanging precariously, and stripped trunks that are unsightly after a storm are all detrimental to your course. You may even need to hire a horticulturist with experience in golf course layouts to replace the types of trees and plants that made your landscaping exceptional. Liability. A damaged golf course is an extreme liability for owners both during cleanup and after the property has been repaired. Your regular employees may not be covered to perform certain tasks, and well-meaning help from members can backfire if they are injured while on your property. Business income losses. Courses are often closed for a month or more after a major storm, causing members to play elsewhere and employees to look for other jobs. Business interruption insurance can help you retain staff and membership levels during repairs, and can reimburse you for lost income from any special events (such as weddings and tournaments) that you are unable to host. If you are struggling to collect fair payment for commercial property damage, we can get enough from your insurer to maintain your business’s high standards. Simply fill out the form on this page today to contact the Voss Law Firm or order a free copy of our book, Commercial Property Owners Must Read This BEFORE Filing an Insurance Claim.